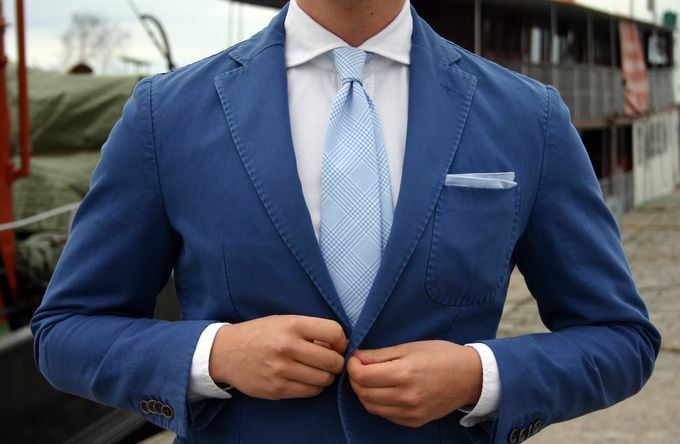 Blue, khaki and white, maybe the best and most versatile colors you can wear during the warmer months. Here's one combining the three in a combination that I like quite a lot. Simple, clean and fresh colors. 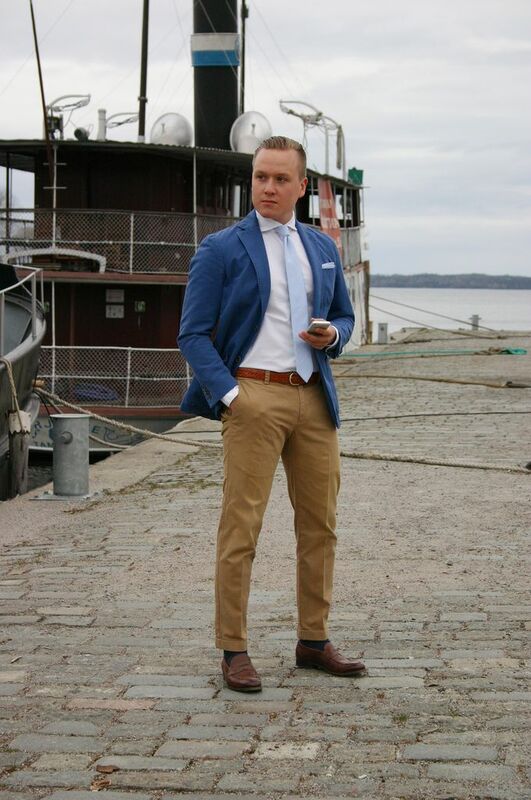 The unstructured jacket cotton and from LBM 1911, shirt from SuitSupply, tie cotton and from Berg & Berg, belt from Berg & Berg, chinos from Brooks Brothers, socks H&M and loafers from Cheaney. A great tie, this, one that also makes choosing your shirt easy as pretty much only white will do. 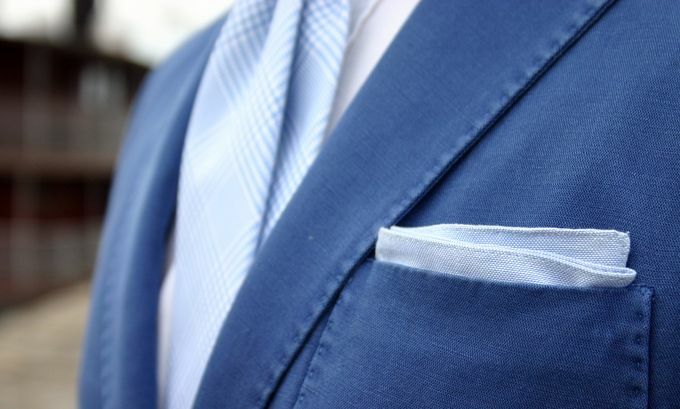 And a simple and clean sky blue cotton square with perhaps my favorite fold for this kind of outfits. No extra flashy puffs needed here.